a fringe party was able to define a national community by scapegoating internal enemies; elevate a single, messianic leader; and keep the public docile with hatred while the state committed unprecedented crimes. The adaptive use of new technology was central to this achievement. Controlling a Web site or a blogspot domain is not like controlling a radio station or a television network. Gerson's examples, in fact, come from comment threads, which virtually disproves his thesis. But there is a major medium where the hateful voices sit firmly in control of the content, and it's the same medium that begins Gerson's remarks: talk radio. And, to a lesser extent, cable news. That's where society's most hateful conspiracy theories sit and fester. He finds it amusing to belittle the threat of a hypothetical someone he calls “jewhater429, the 97th entrant in a comment thread” -- just a few months after an Internet-based Jew hater entered the HolocaustMuseum with a gun and killed an African-American guard. Some people have the oddest sense of humor. The real threat, according to Klein, is not from Jew haters, Holocaust deniers or white supremacists. It is from conservatives who listen to Rush Limbaugh on the radio. And why? Because Limbaugh interferes more directly with Klein's political agenda. The seriousness of this moral argument is…undetectable. It is a case study in how an excess of ideology can affect the optic nerve -- leading to complete moral blindness. Moral blindness? Nobody denies that bigots – even violent bigots – can publish on the internet. The question is whether the internet is somehow crucial to their activities. Gerson calls Von Brunn “an Internet-based Jew hater.” But Von Brunn was not based in the Internet. He was based in Maryland. And before he was publishing his rants on the internet, he was publishing them in pamphlets and letters to the editor. The medium of the Internet has nothing to do with his crime. Second, it’s extremely telling that Gerson thinks the only problem with Rush Limbaugh is that he interferes with Klein’s political agenda. Take a listen to this recent Limbaugh rant, in which he baselessly claims an incident in which a couple black kids beat up a couple white kids on a school bus was racially motivated, and proceeds to whip up racial antagonism and paranoia among his white listeners. 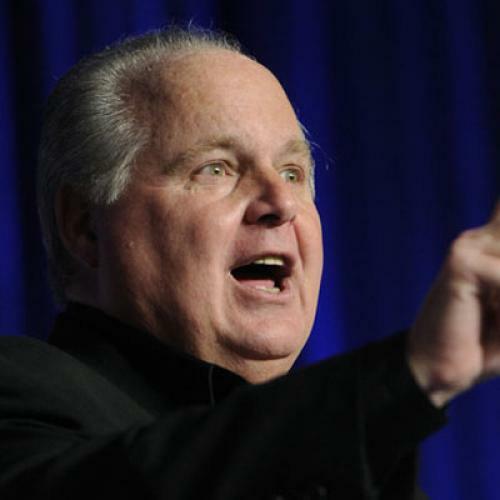 (Yes, at one point Limbaugh explicitly makes clear that both he and his audience are white.) The black president is redistributing your wealth to the blacks. He’s encouraging black people to beat up your children. It’s vile, dangerous stuff. And while it’s nowhere near a Nazi-like threat, the fomenting of racial solidarity and paranoia among the majority race, by an articulate demagogue who controls his medium and allows no opposing viewpoints, is a whole lot closer to the historical example that so worries Gerson than are a few random loons on internet comment threads. Somebody here is letting his political agenda blind his moral compass. But it isn’t Ezra Klein.